Most relevant literature now links obesity, lipotoxicity, and metabolic syndrome. Excess body fat seems to trigger the release of toxic substances by adipose tissue leading to a proinflammatory-prothrombotic environment and the development of insulin resistance resulting in cardiovascular disease and diabetes. However, how each body tolerates excess fat is key. While some moderately overweight people show no signs of disease, others are affected, even earlier than expected, at slight weight gains. Over two-thirds of adults and one-third of children in America are either overweight or obese, the majority of which are among those of lower socioeconomic status. Why? There is so much “expert” literature out there that fails to recognize the elephant in the room: healthy food can be very expensive. What food to buy, therefore, will always be the challenge? 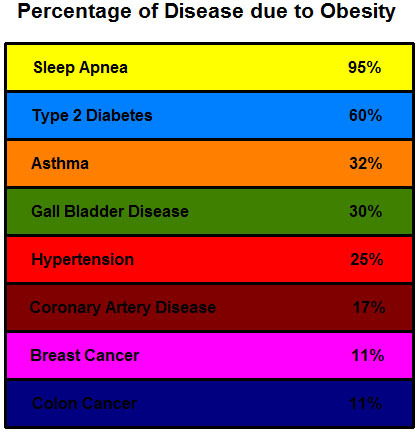 Obesity is linked to many chronic conditions or comorbidities like sleep apnea, asthma, type 2 diabetes, hypertension, coronary artery disease, breast cancer, let alone psychological problems. The effect of excess body fat is not purely mechanical. Normally, adipose tissue (where your body stores its fat) acts like an endocrine organ that produces many substances. Obesity may alter adipose tissue metabolism, which leads to lipotoxicity—adipose tissue, mainly abdominal fat, releases toxic substances—resulting in a proinflammatory and prothrombotic environment. That is, the body is more prone to inflammation and cardiovascular disease. Research also links obesity directly to the development of insulin resistance and subsequent diabetes. Elevated body mass index (BMI) alone does not indicate lipotoxicity. Instead, we now use a collection of risk factors known as metabolic syndrome to assess the threat of cardiovascular disease and type 2 diabetes. Yet, we must always first consider genetic factors such as family history of diabetes, for example. Also, commonly, metabolic syndrome manifests as nonalcoholic fatty liver disease or hepatic steatosis. Three or more of the following risk factors usually make the diagnosis of metabolic syndrome: waist circumference over 35 in (women) or 40 in (men); systolic blood pressure over 130 mm HG; triglycerides over 150 mg/dL; high-density lipoprotein cholesterol (HDL-C) under 40 mg/dL (men) or under 50 mg/dL (women); and fasting glucose over 100 mg/dL. Here is the confusing part. Although the risk of disease is strong in obese patients, some overweight people do not show any ill health effects; they tolerate excess body fat well. Meanwhile, some slightly overweight patients present with disease! This last category, i.e. those more susceptible to lipotoxicity, therefore, will benefit the most from early evaluation. Now the good news is this. The Diabetes Prevention Program cites a 58% reduction in risk for type 2 diabetes with only a 7% reduction in weight, using an intensive lifestyle intervention (ILI, diet and physical activity modification). Loss of abdominal fat, specifically, best explains this favorable prognosis. The advice seems to be: lose the fat and try as much as you can to keep it off.